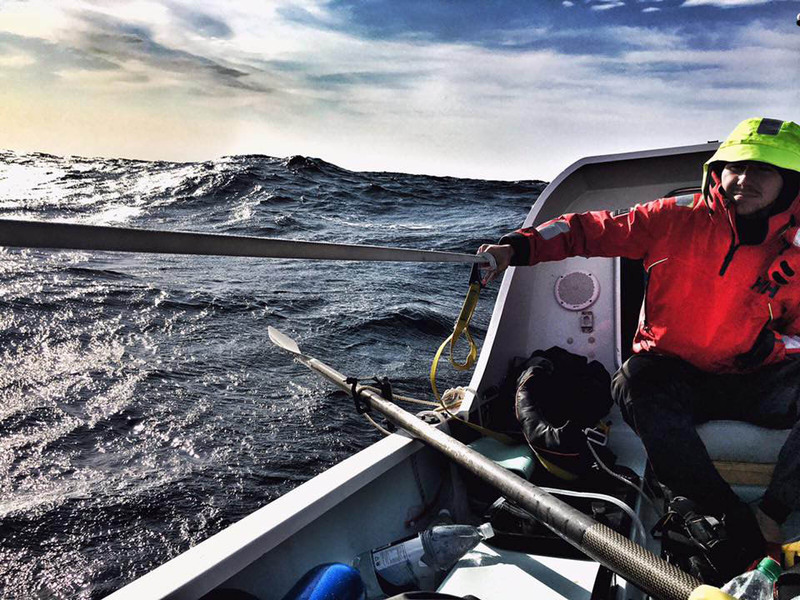 Even two days after the world declared the historic attempt to row across the northern Atlantic over due to a disabled boat and ill crew stranded by weather on a nearly deserted Arctic island, expedition leader Fiann Paul was refusing to give up. 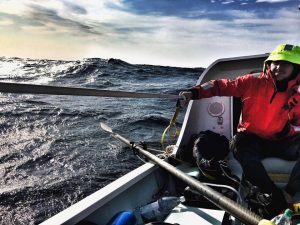 Rowers encounter large waves in the northern Atlantic seas during their attempted voyage from Svalbard to Greenland this month. Photo courtesy of The Polar Row. 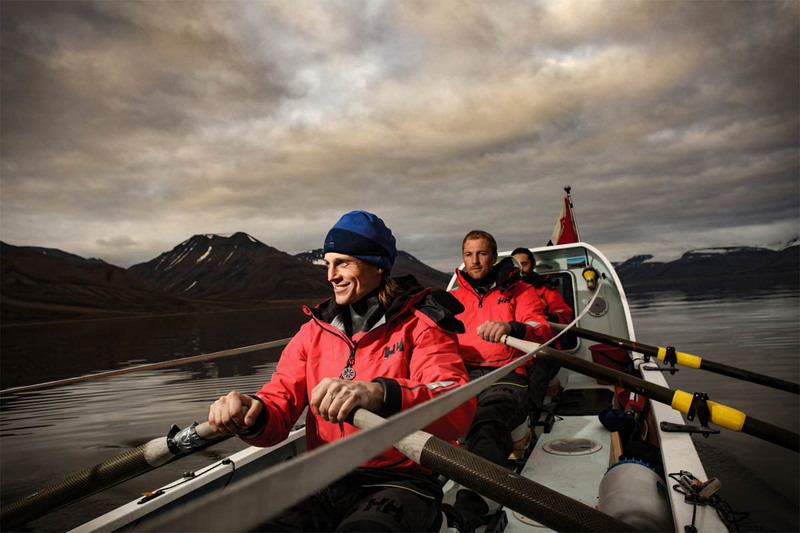 Members of The Polar Row, who made a first-ever paddle from Tromsø to Longyearbyen before setting out for Greenland via the edge of the Arctic ice sheet, acknowledged this weekend on the expedition’s Facebook page and to global media their month-long quest was over – and it would probably be another week before they could be rescued due to conditions. Even so, the mood among most of the members was “extremely happy and healthy” at what was achieved. But Paul, captain of The Polar Row, retained the mentality he emphasized when declaring the expedition one more of persistence than rowing skill (hence the hiring of a person who responded to an online ad who had no experience at all). He tried to have a fresh brought to Jan Mayen, the island where the boat was stranded, but flight restrictions made that impossible. Paul, in an e-mail to The New York Times, insisted he will attempt a similar expedition in the future. Paul and four others set out from Tromsø on July 20, hoping to reach Longyearbyen in 12 days but instead shocking themselves by completing the 965-kilometer journey in seven. At that point they exchanged a few crew members, increasing the total number to six, and set out Aug. 7 for the scheduled 22-day trip to Greenland hoping to take advantage of the lessons already learned. 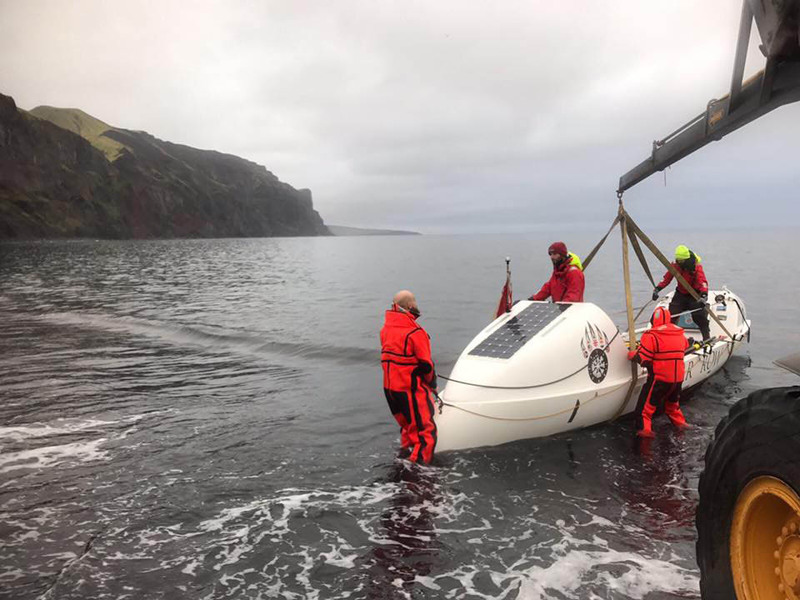 Team members alternated two hours rowing and two hours resting in the tiny cabins at either end of the boat, the roofs of which were covered with solar panels to power navigation and other equipment. But one constant – regardless of rowing or resting – was everyone was wet and cold. The custom 10-meter-long boat used by The Polar Row expedition is brought ashore using a crane. Photo courtesy of The Polar Row. But the weather turned overcast soon after and the boat’s solar-powered batteries were drained five days later. The failure of the navigation equipment forced the team members to reply on manual steering and, in a Facebook post a few days later, they announced they were heading for Jan Mayen to take refuge. They reached the volcanic island on Aug. 19, which is inhabited by about 20 members of the Norwegian Armed Forces and the Norwegian Meteorological Institute at a base there. Members of the expedition wrote they “couldn’t be warmer” at the treatment they received from base officials, but four crew members were ill and struggling to keep food down during the first few days. “The hospitality has been unbelievable — they’ve saved our lives,” Gregory said in a video on his Twitter account. Despite falling short of their overall objective, the expedition claims it achieved 11 of the 12 records attempted, including the northernmost latitude by a rowing vessel, first to row the Arctic Ocean south to north and the biggest crew to row the Arctic. Because planes can’t land at Jan Mayen, it’s not certain when the rowers will be able to return home.